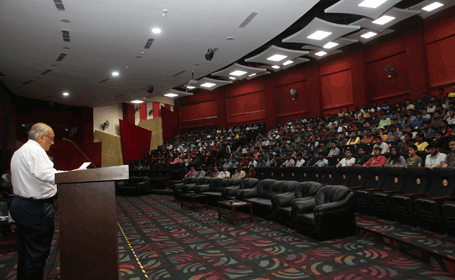 Dr. Ravi Margasahayam, NASA Global Goodwill Space Ambassador from John F.Kennedy Space Centre delivered his lecture during “International Seminar on Space Odyssey” on 6.02.18 on the topic “Rocket Noise and Vibration” at Andromeda Lecture Theatre, HITS between 11:00AM to 2:00 PM. 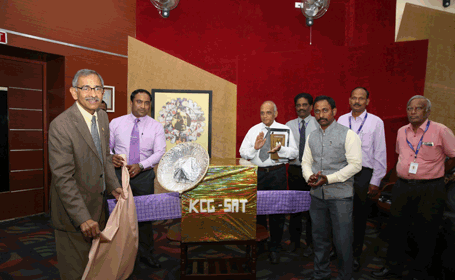 Dr.Ravi unveiled the static model of “KCG SAT” during the event, the proposed satellite will be positively launched during 2020. 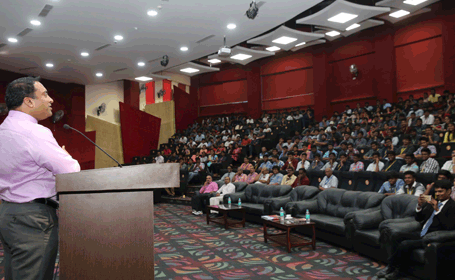 The lecture was conducted in association with Aeronautical Society of India, Chennai Branch and a part of Nebula Astro Club activity. 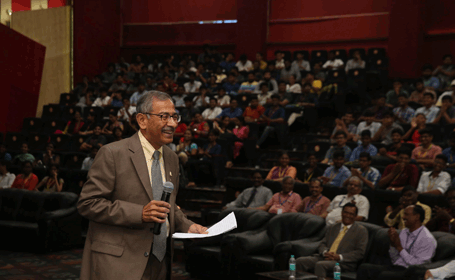 Dr.Ravi detailed about the launch vehicle details of NASA and NASA projects. He began with the vibrations and the analytical details of rocket during its launch and travel. He also briefed the cause of unattended pin-hole crack in the space shuttle which lead to catastrophic blast and loss of astronauts including Kalpana Chawla. His entire presentation targeted the technical developments which has helped NASA to overcome its failures. He detailed about the assembly of International Space Station. He presented a NASA rocket launch movie for 17 minutes which gave audience a real time experience on happenings during a rocket launch. Overall, his lecture gave in depth details about system engineering operations involved in aerospace industries regarding space vehicle assembly, launch and recovey from failures. 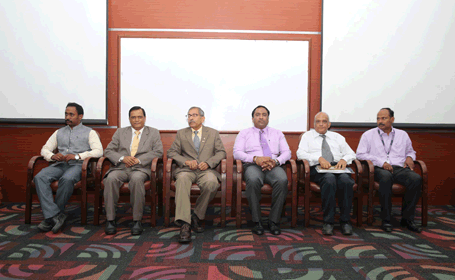 Director of HITS Mr.Ashok Verghese witnessed the seminar while Vice Chancellor Dr.Kuncheria P.Isaac and Registrar Dr.Pon Ramalingam had an official meeting with Dr. Ravi Margasahayam.